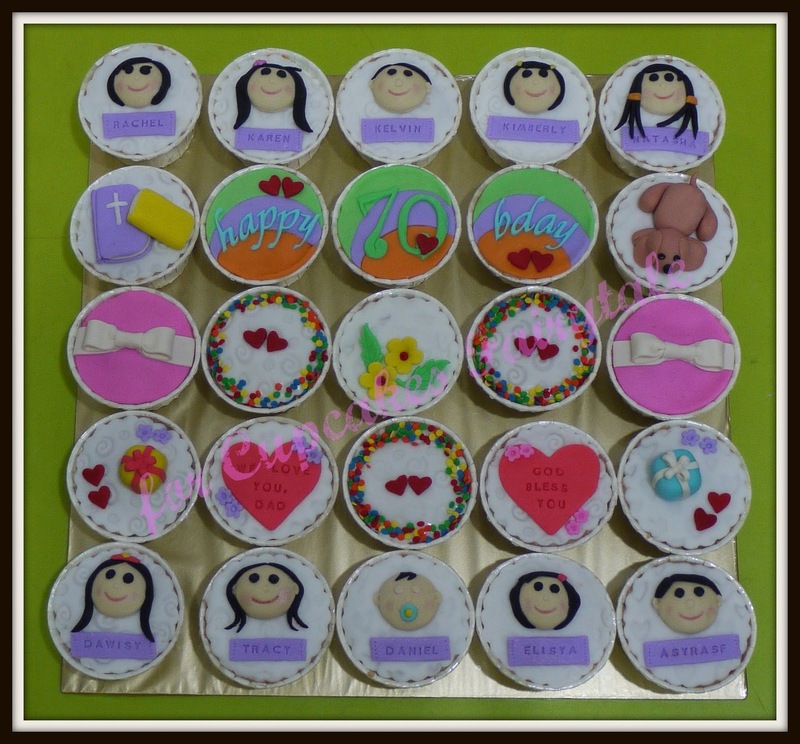 Georgina Peter ordered these lovely and meaningful cupcakes for her father's 70th Birthday. 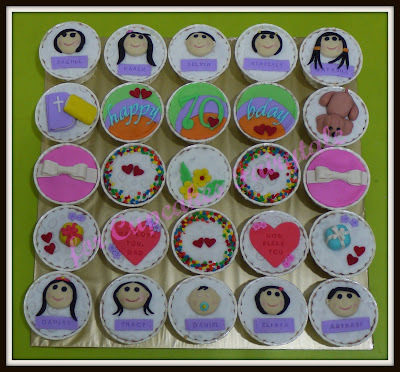 As Georgina told me that this will be the first time they had cupcakes as the main birthday cake for their father's birthday, this makes Cupcakes Fairytale eager to make these cupcakes a special message to Mr Peter. Georgina told me that her father never misses his daily prayers to the Lord, he loves to read, watch the TV world news, plays with the grand-children and he loves animals, especially dogs. 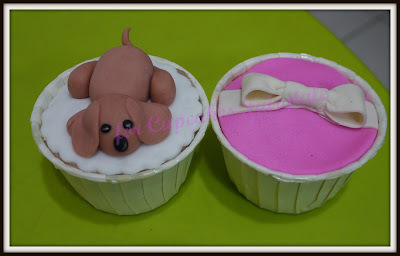 With these tips and infos, Cupcakes Fairytale commissioned a set of cupcakes based on what Georgina has told us. Happy Birthday to you, Mr Peter and May God Bless you abundantly!